From the very beginning of Madeline’s Madeline (a reference to the immersive quality of her performance, where Madeline effectively plays herself), first-time writer/director Josephine Decker seeks to show the audience just how Madeline experiences the world around her. When she’s not taking her medication this means the world is a confusing, fractured series of blurred images and out-of-sync audio. It’s no wonder Madeline looks so overwhelmed all the time; it must be a continual struggle for her to assimilate what’s going on and/or why. At first, she’s shy but desperate to impress, quiet but not lacking in confidence in her acting abilities. Except she isn’t acting. Decker makes it clear: Madeline doesn’t know how to act, all she can do is inhabit a character – whether human or animal – and be herself as that character. There’s no role to create, just Madeline being Madeline. As she becomes more and more accepted, by Evangeline and by the group, the blurred lines between performance and reality fall away to reveal a young woman whose sense of self is so overwhelming that she cannot behave in any other way. And yet her mental illness is the very thing that allows her to stand out. But is it appropriate for Evangeline to exploit this? Watching the movie you could be forgiven for thinking that it takes a side on the issue, but Decker is clever enough to make it a more difficult proposition to consider. By making Madeline wholly complicit in her own exploitation – and encouraging it – the issue becomes a question of just who is exploiting who. This ambiguous approach helps maintain a grim fascination as the story plays out and Madeline’s behaviour, particularly at a party at Evangeline’s home, becomes ever more worrying and unsettling. Howard, making her acting debut, is simply superb as Madeline, bright, intelligent, fearless, and giving such an assured, indelible performance that she dominates the whole movie, and leaves veterans such as Parker and July trailing in her wake. That said, Parker is also on exceptionally good form as Evangeline, her mother hen nature hiding a naturally cruel streak that brooks no contradiction because she knows what’s best for the group. July swings between Regina’s anguish and pride at Madeline’s behaviour, while there are telling moments from members of the group that mark them out as not just the followers they appear to be. In assembling such a provocative story, Decker has made an experimental movie about an experimental theatre group that is endlessly inventive and evocative, and which takes the viewer into the mind of its very erratic title character – which proves to be a place that’s hard to forget. 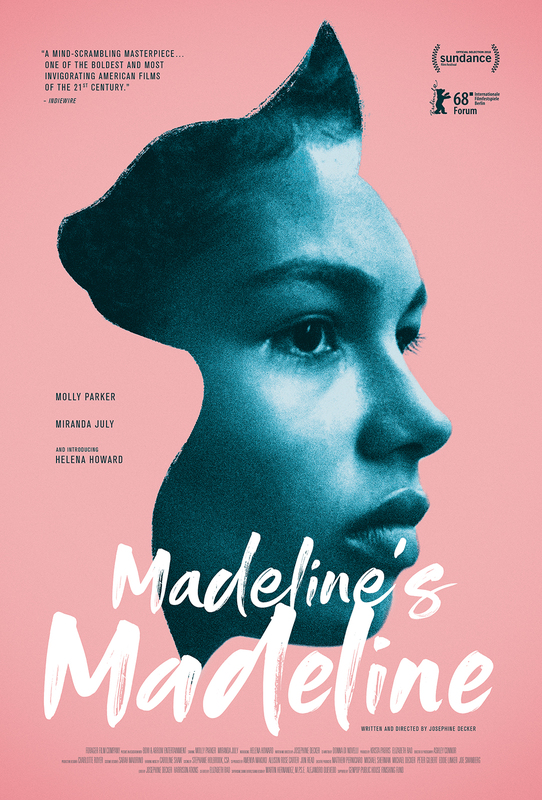 Rating: 8/10 – not a movie for all tastes, Madeline’s Madeline is a tremendous achievement by Decker, and features an equally tremendous performance from Howard; with wit and skill and an abundance of imagination, this is that rare movie that takes you to a world you think you know, and presents it in such a remarkable manner that you can’t help but be impressed by both its verve and the underlying simplicity of its approach.